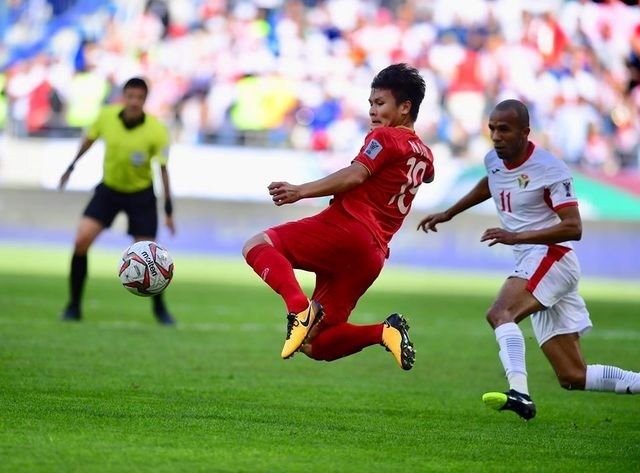 Vietnamese midfielder Nguyễn Quang Hải has received the most votes for the best goal and the best player of the 2019 Asian Cup group, stage selected by the Asian Football Confederation (AFC). After four days of voting, Hải won the best player with 604,167 votes, followed by Ashkan Dejagah of Iran with 462,278 votes and Eldor Shomurodov of Uzbekistan with 73,911. Hải, the AFF Cup 2018 MVP, has put his talent on display for all of Asia to see as the Golden Dragons have progressed to the quarter-finals. He also won the best goal of group stage with 465,629 votes for his spectacular free kick against Yemen. Wu Lei of China took second with 305,806 votes, while Saman Ghoddos of Iran was third with 134,491 votes. According to the AFC, the attacking midfielder Hải has been instrumental for Việt Nam and his incisiveness has created the best of Việt Nam’s chances.